We have the Twin Cities’ widest variety of front doors that can match or perfectly compliment the existing style and color of your home. 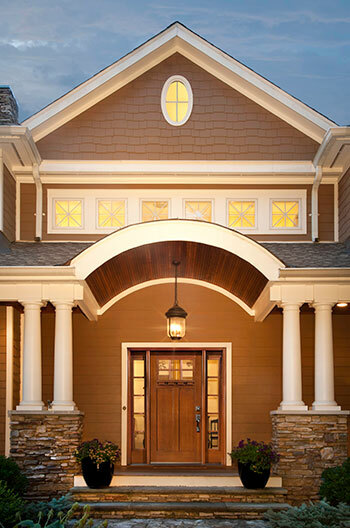 Browse our exclusive residential Front Entry Doors catalog. For commercial entry doors and related services, please visit our commercial door division. Whatever your tastes and needs, Ole and Lena’s carries a front entry door that is sure to please. We pride ourselves in offering a wide variety of materials, colors, and styles of front entry doors to Minneapolis and St Paul residents. We only stock high-quality doors, including fiberglass and steel front entry doors and believe in fair and consistent pricing. We’ll not only guide you to the right door for your home we’ll install it as well. We’re determined to get the job done right so that your door will operate flawlessly, opening and closing with ease. Not sure whether you’re ready to get a new front entry door? Here are the top three reasons that we’re getting home and business owners in St Paul and Minneapolis outfitted with new front entry doors. 1. Aesthetic Value: The first thing that visitors will see is your front door. If your door is dented, or the paint is peeling, what does it say about the business you run or the home that you keep? Get a door that will make a statement to your visitors or customers before they even pass beyond the threshold. 2. Temperature: We use exterior doors every day to get in and out of our homes. But so do cool drafts and hot air. If your front entry door is not well-insulated or doesn’t shut all the way, you could be losing the money you’re spending in heating or cooling your home or business. 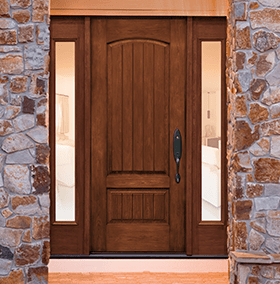 Most building managers and homeowners know that exterior doors in Minneapolis need to be stronger than other doors that when they shut, they should be as sturdy and as protective as a wall. The best exterior doors in Minneapolis regulate home temperature during harsh northern winters in the area by keeping warmth inside and cool air out. If you can feel air coming in from beneath your front entry door, it could be time for a replacement. 3. 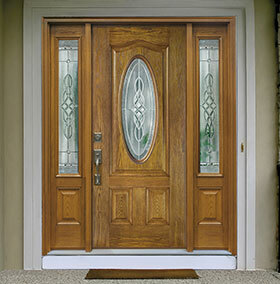 Safety: It’s important to know with certainty that your front door is durable and could prevent a break-in. Are the locks, knobs, and keyholes of your door secured? Is the deadbolt made from a material that is strong enough to withstand a heavy blow? Will the structure and frame of the door be enough to stand up to a physical battering? In America today, homeowners face nearly a 20% chance of being burglarized. 34% of those break-ins attempts are via front entry doors more than any other entry point. Make sure yours is secure against a possible break in. To find out more about the benefits of replacing your front entry door in Minneapolis and the surrounding areas, contact us! Ready to replace your front entry door? We’re ready when you are. Come home to find a door you adore not only one that will look good, but that will protect you and your family for years to come! For the best front entry door a St Paul home or business owner could have to their home, contact Ole and Lena’s today at (952) 888-1110 or 651-452-1110!